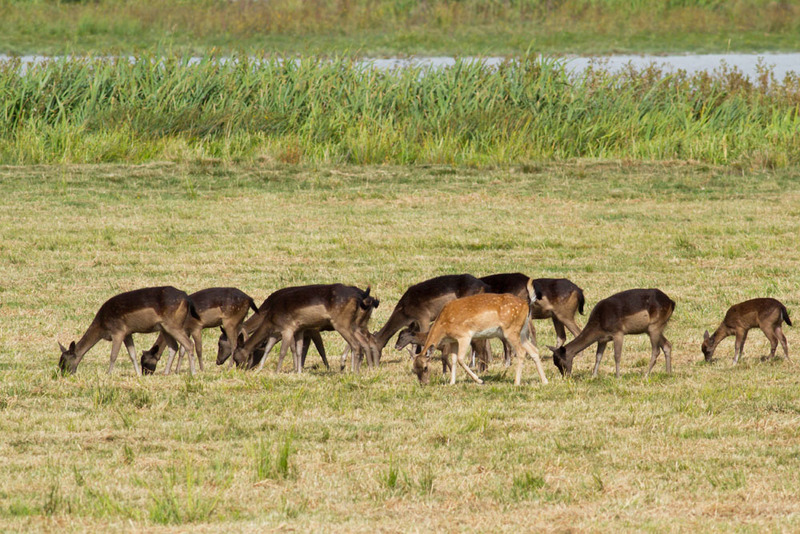 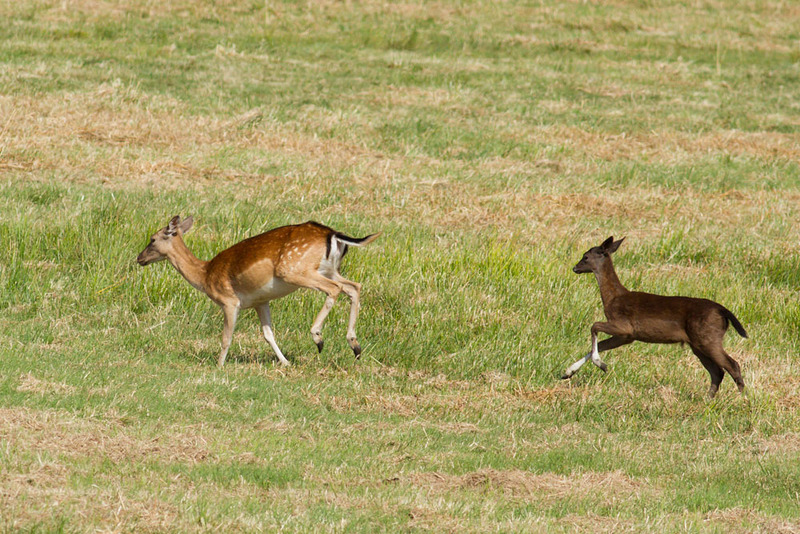 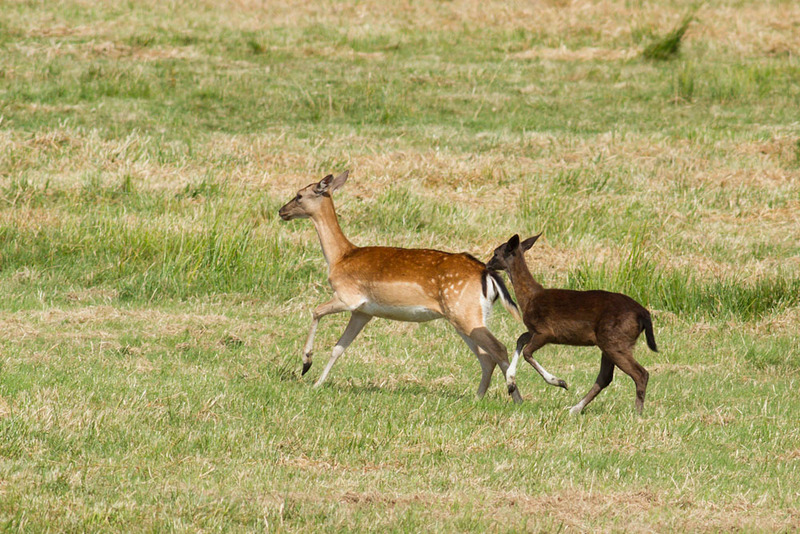 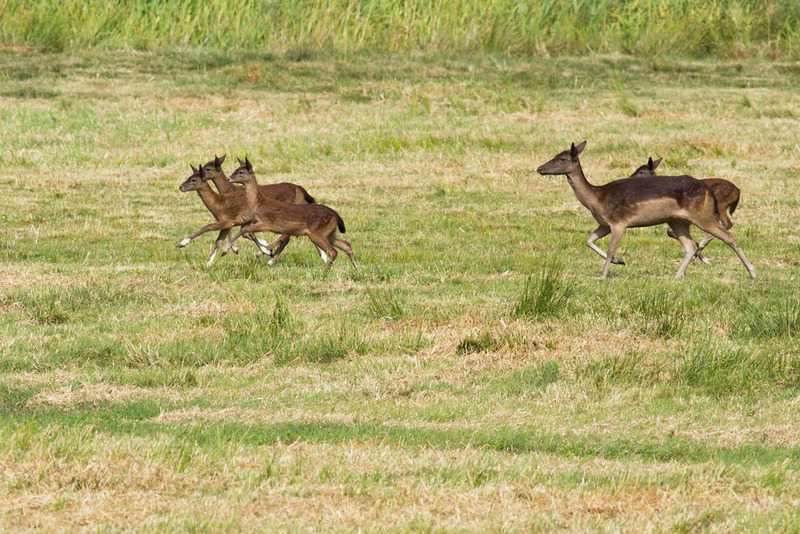 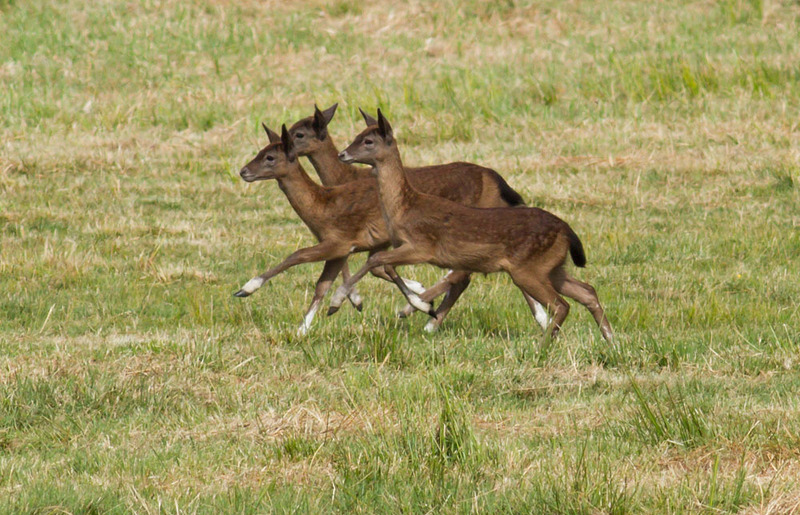 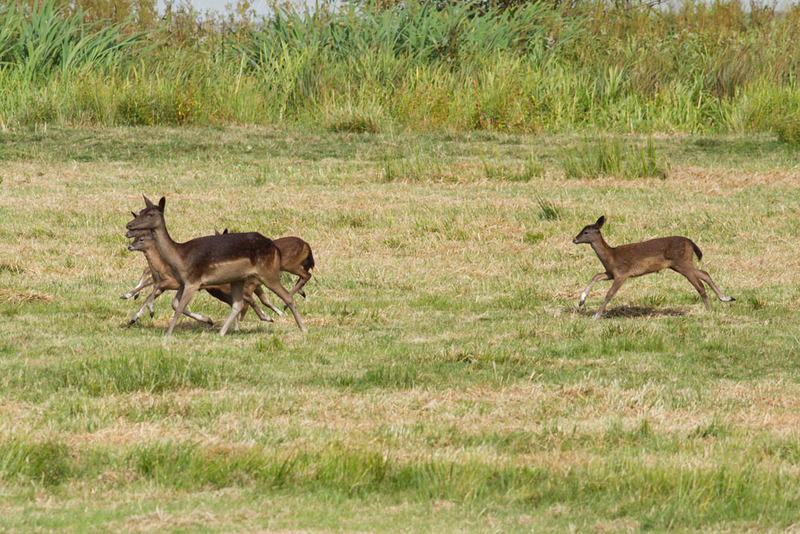 The fallow deer (Dama dama) was introduced to Britain in Norman times (11th century), and are widespread in parkland areas. 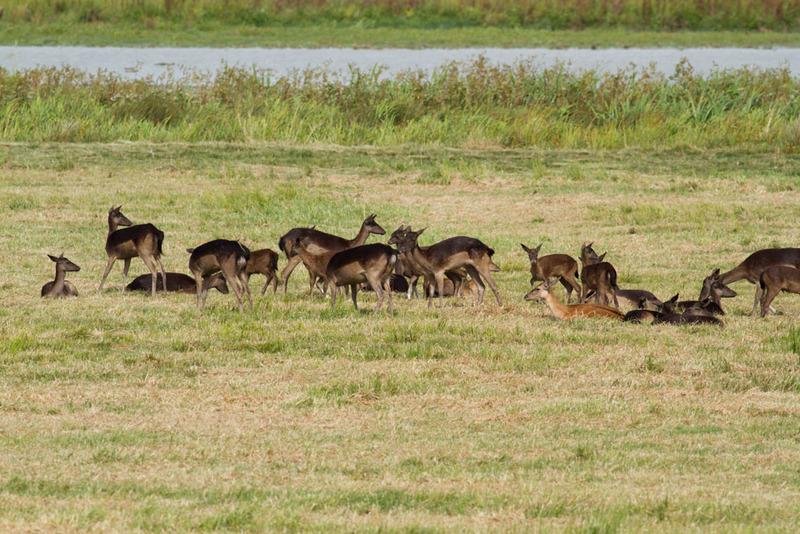 The photos here were taken at Pulborough Brooks RSPB reserve, in West Sussex. 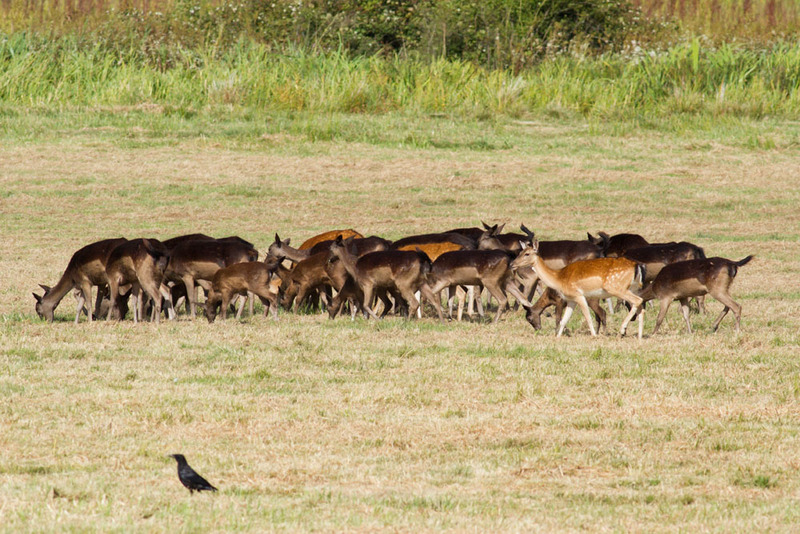 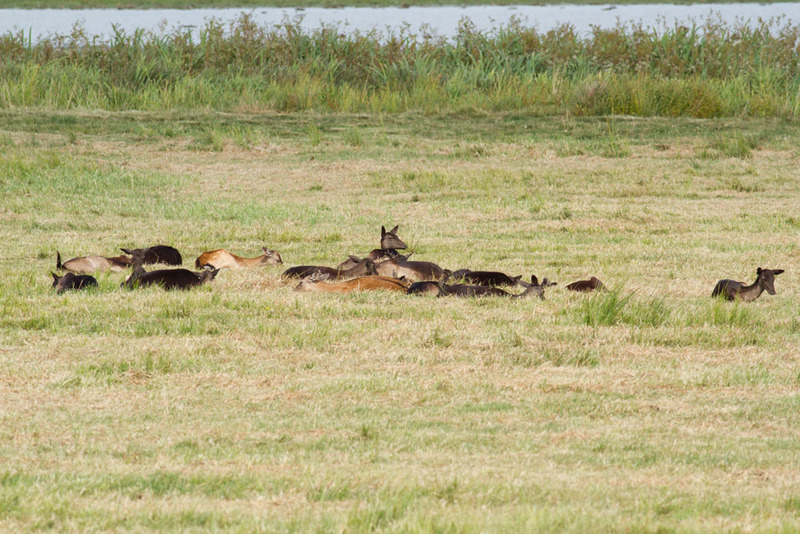 There are one or two pale fallows (the more common type) in the group, but the majority have dark coats.